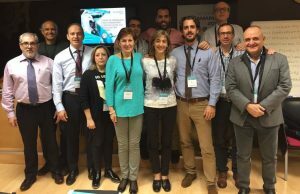 The Bronchoscopy Education Project (BEP) is a collaborative program between Bronchoscopy International and The World Association for Bronchology and Interventional Pulmonology. Seminars are hosted by university-based teaching programs and national medical associations around the world. 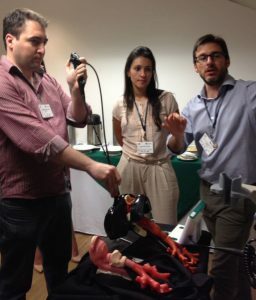 Bronchoscopy International’s Certified and Master trainers deliver a uniform, multidimensional Fundamentals of Flexible Bronchoscopy curriculum that assures equal access to knowledge and technical skills regardless of a chest physician’s country of practice. The program includes didactic and interactive lectures, instructional videos, case-based practical approach exercises, problem-solving small group sessions, role-playing exercises, and step-by-step hands-on workshops using models, simulation, and virtual reality platforms. Associated with this program, specially designed Train-the-Trainer seminars help experienced bronchoscopists enhance their teaching and presentation skills. Focus is on the use of competency-oriented measurement instruments such as validated assessment tools, checklists to assure patient safety, technical skill proficiency, and positive reinforcement coaching techniques using interactive case-based exercises. Participants increase their understanding of educational methodologies such as learner-centricity, inverted classroom, step-by-step training, and computer or mobile tablet-based instruction. During the last five years, more than two dozen certified and master instructors have helped train more than 1000 participants from thirty-nine countries (Argentina, Peru, Uruguay, Paraguay, Brazil, Bolivia, Colombia, Ecuador, Cuba, El Salvador, Mexico, Australia, United States, Canada, Greece, Turkey, Egypt, Sudan, Russia, Singapore, Indonesia, Malaysia, Japan, Vietnam, Thailand, India, China, Philippines, Greece, Spain, Hungary, Great Britain, Romania, Slovenia, Serbia, Bosnia, Moldavia, Bulgaria, and Macedonia). ® The name Bronchoscopy International is registered in the US Patent and Trademark Office. Copyright © 2001-2018 by Bronchoscopy International Foundation for the Advancement of Medicine. All rights reserved.